Rising dramatically from the sheltered waters of the firth of Clyde, Arran is dominated by the sweeping slopes of Goat Fell. 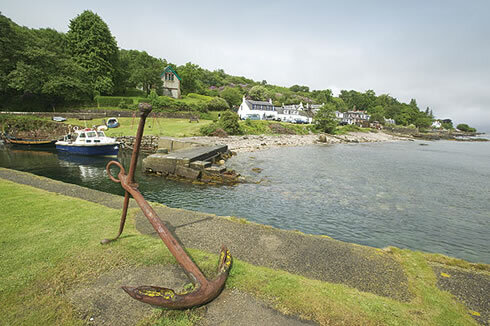 Arran is a fascinating island which lies on the Gulf Stream and casts it’s unique magic on all it’s visitors. Big enough to offer a wide variety of activities yet small enough to retain it’s truly special island atmosphere. For a leisurely day why not sample tea and cakes on the patio at Brodick Castle, take a trip back in time at the Heritage Museum, take a tour around the distillery or visit Holy Isle in Lamlash Bay. 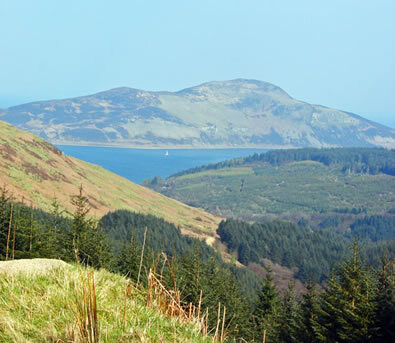 Take a tour around the coast of Arran by bus, car , bike or even by foot and you will see at first hand the wondrous diversity of the landscape. 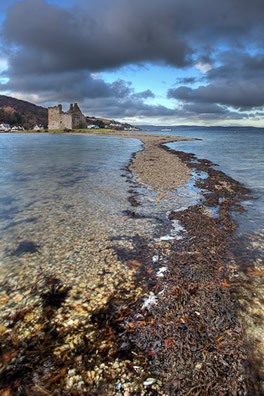 For lots of helpful and interesting information a great site to visit is www.visitarran.com. Many people travel to Arran to see the wildlife on the land, sea and air. If you are very lucky you may spot a sea otter a harbour dolphin or perhaps a huge basking shark. Red squirrels are common place, we have no greys. The skies don’t disappoint either look out for hen harriers, gannets and Golden Eagles. The Arran Birding website on the links page has comprehensive information. 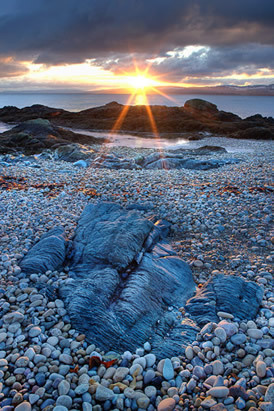 The island has inspired many artists and craftsmen, their work can be seen at various galleries and workshops around Arran. There will be an all year art trail for 2017 and for 4 days in August the Arran Open Studios event allows you to enter over 36 studios of the islands crafters and artists. Woodlea's owner, Angela Elliott-Walker, www.angela-elliott-walker.co.uk is an artist too her work can be seen on the walls at Woodlea and many locations around the island including the excellent Art Gallery in Whiting Bay. Food producers on Arran have formed Taste of Arran to promote their produce. Their products are available in restaurants and shops around the island and on the mainland. Local meat , cheeses, chocolates, jams and pickles as well as lovely ice cream are on offer. And last but not at all least are the local tipples! The shops around Arran are wonderful for unusual gifts and souvenirs- the whole experience is therapy – of the retail kind. No parking problems no traffic jams just jaw dropping scenery, there’s always a beach within a few steps for non shopaholics. The Heritage Museum in Brodick is run by local people and is well worth a visit particularly if youa re interested in the islands history and geneology. 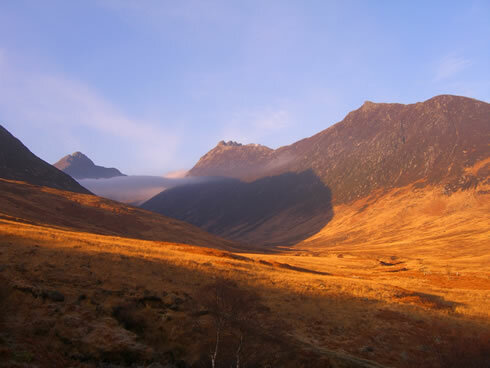 The Arran Trust is the island's visitor gifting scheme. 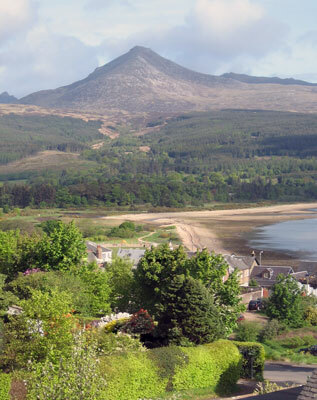 The Trust funds projects which look after the beautiful landscapes and environment of Arran. With your help, the Trust can work alongside businesses and community groups to improve sustainable practices and aims to safeguard the future of this beautiful island. We give you an opportunity to donate when you book with us otherwise there are donation boxes around the island or donate here. Glenartney Cottage, Mayish Road, Brodick, Isle of Arran, KA27 8BX.